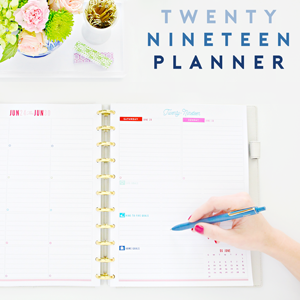 I have always loved to organize, however, it seems as though I really found my organizing stride after my kidlets were born. 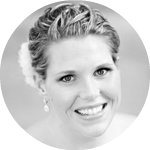 My beautiful friend and contributor, Chelsea, recently became a new mom herself, and has been organizing and sharing all of the goodness over on her blog Two Twenty One. I have to admit that I have loved following along and reminiscing about the days of diaper bags and changing tables. I am excited to have her here today, sharing a ten minute baby "car" go sanity saver she recently implemented. Here she is now! Since becoming a mom, I've learned that I need to be prepared for anything. Which is why I put together this baby car kit. It took me maybe 10 minutes to put the kit together. 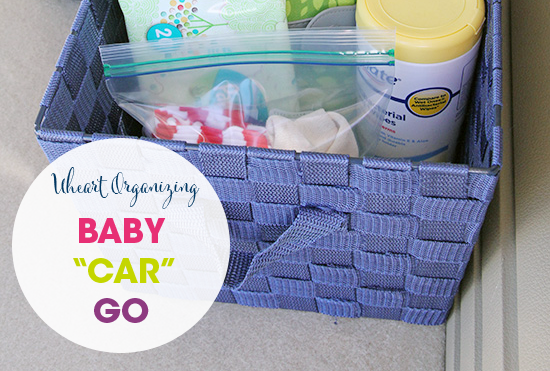 While I always travel with a well stocked diaper bag whenever I take my little one, Owen, out and about, I wanted to be able to have some items in my car just in case. 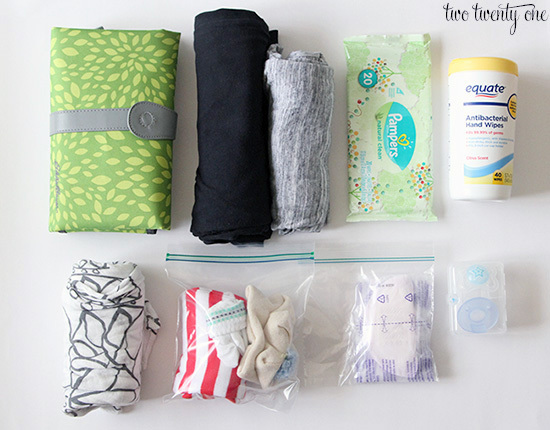 In case you're wondering, you can see what I keep in the diaper bag and how I organize it here. 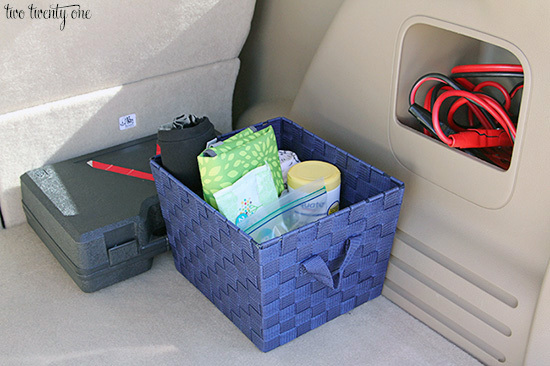 I keep the car kit basket in the back of my car by my emergency road assistance kit and jumper cables. In case you couldn't tell, I like to be prepared when it comes to my car. One thing that I keep in the car kit is a change of clothes for me, which includes yoga pants and a shirt, because you never know when a blow out or massive spit up attack will happen. I've always kept a change of clothes in my car because of my day job as an in-home early intervention developmental therapist. There's been a couple times that I've had to change my clothes in between therapy appointments. I won't go into details but I'm sure you can imagine the crazy things that happen with toddlers. Another item I keep my in my car kit for me is nursing pads. Recently, on the way to run errands, I realized I didn't have my nursing pads in. I found myself digging in the glovebox of my car for fast food napkins to use as stand ins. Desperate times call for desperate measures, my friends. So I made sure to include a couple disposable nursing pads in the kit so I never have to repeat that experience. I also threw some extra pads in my purse cosmetic bag. 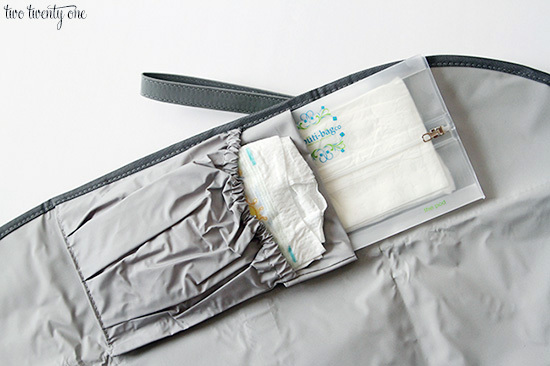 The diaper changing pad clutch comes with a pocket to store diapers and wipes, so I keep a couple diapers and a handful of wipes stored in there. Since we're heading into winter, and Midwest winters can be brutal, I plan to put a couple blankets, bottled water, some snacks (for me), and hand warmers in the back of my car just case I should get stranded with my little one. 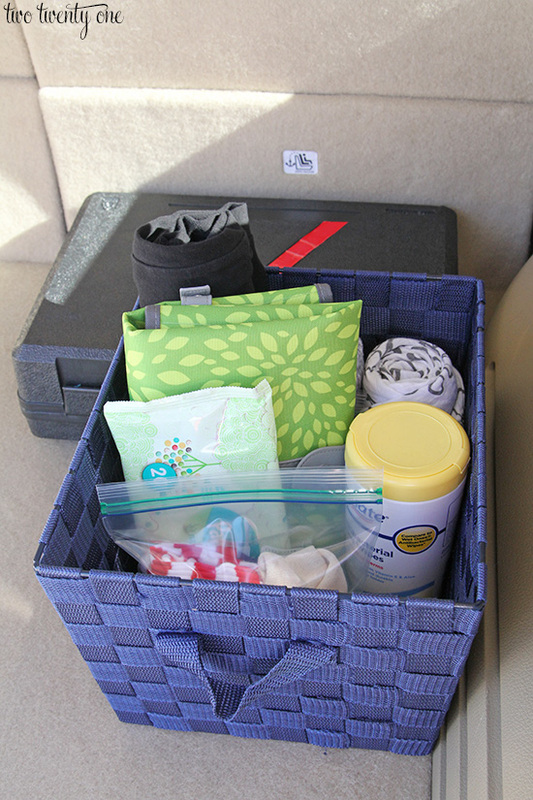 When it comes to putting together a baby or kid car kit in your car, use what works best for your kiddo and family. 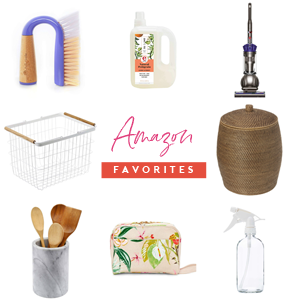 Just think about the things you would want to have on hand should you forget something or if your kiddo has an accident. And you don't have to be fancy with what you put the stuff in. I used a basket I had laying around but you could use any sort of container. The only thing I'd add is Babies R Us have these great straps that will turn any blanket into a nursing cover. I keep one of those in my car emergency kit with the blanket! That way in case I need to nurse unexpectedly (usually I've lost track of time in Target....), I've got something to use without fighting my squirmy girl! Love this idea!! Certainly putting it on my list of to-do's before baby boy arrives!! Something I really need to put together for my car. Great idea! What a great idea, i have to put one together! Thanks for sharing. Love Chelsea! Excellent ideas. When my son was a newborn, we (ok..I) forgot a pacifier on an hour and a half car ride and my debit card. Lets just say, I never forgot it again! Haha! Yes! Yes! Yes! As a momma of 3 (soon to be 4! ), a car kit like this is incredibly smart and useful! I have a plastic container in the back of my van with a change of clothes for each child, extra diapers/wipes, a change of clothes for me (yes, I've been vomited on), snacks, water bottles, a couple small toys/books, antibacterial wipes, hand sanitizer, a garbage bag, a rag, extra hair rubberbands, some cash, a small notebook/pen, paper plates/utensils, a blanket, pacifier, toilet paper, nursing pads, an extra pair of cheap flip flops in case shoes get lost, a sweatshirt for each child, and I'm sure a few other things I can't recall at the moment. 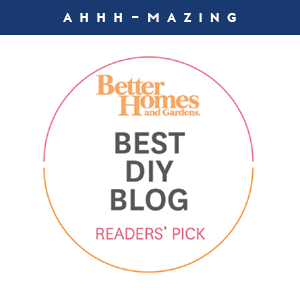 This has saved me on numerous occasions and I recommend it to all mommas! The most important part is to keep things updated as your baby grows! Diaper, outfit, and snack needs change quickly and it's hard to keep up. Another tip is to keep a small potty in your car. 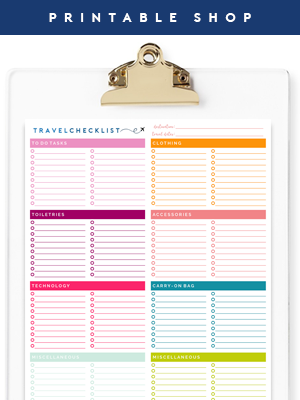 This one has been sooooooooo handy!!! Our little red potty has been a lifesaver, especially on road trips! Lastly, I keep a small pencil pouch in my purse with first aid supplies. You would not believe how many times I've been able to give away bandages to friends or other moms. I also keep a couple Dum Dum lollipops in my little first aid kit because they can make any "boo boo" feel better. 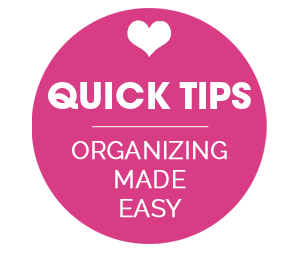 Happy organizing friends! This would have been so convenient to have when my guy was little! Brilliant "car" go idea! Such a good idea that I wouldn't have thought of. Perfect timing since my little one is due in 11 weeks! Hi there! Can you tell me the brand of diaper clutch? It's so cute and looks quite functional. Thanks! Hi Leah! It's by Eddie Bauer via Target. if you have a dry well in your car you might consider space bags too. they save valuable space in your trunk. I use for emergency kits for each family member that include diapers, disposal changing pads, clothing, blankets, stuffed animal, seasonal like hats/mitten, bathing suits/towels. a grab&go zippered tote in trunk stores travel size toiletries, wipes, bug spray, sunscreen, snacks, water, first aid, electronic chargers, headlamp. it's come in handy for long ER visits, stranded at grparents during New England snowstorms, impromptu over-night adventures.